Bratislava – The European Commission (EC) sent a letter of formal notice to the Slovak government for its failure to provide adequate protection in nature preserve areas, which is causing a significant decline in bird numbers. The EC states that EU legislation is not properly transposed into Slovak law. As a result, the population of capercaillie (Tetrao Urogallus), also known as the wood grouse, has halved since Slovakia joined the EU back in 2004. The EC confirms that Slovakia is violating Natura 2000 protection areas. Natura 2000 is an EU-wide network of protected areas safeguarding nature against potentially damaging development. Under these laws, forest management plans and activities such as logging in protected areas must undergo an assessment of their effects before authorization. These provisions do not exist in Slovak legislation, the EC letter states. "The so-called ‘accidental logging’ due to bark beetle or local flooding should be assessed for their impacts on EU’s Natura 2000 network of protected sites in Slovakia. This is not the case at the moment and the negative impacts on many endangered species are obvious. Capercaillie is one species under threat. That’s why changes in the Forest Code and the Nature Conservation Code are greatly needed,” Miroslava Plassmann, Country Coordinator of WWF in Slovakia stated. Moreover, Slovakia has not adopted special conservation measures required for the species under the Birds Directive. Currently, due to logging we are losing valuable old forests that are home to protected bird species such as the Capercaillie. Special conservation measure such as identification of no-go zones or sensitive forest practices can protect these areas and their inhabitants. Management plans for the areas in question have been elaborated, but not approved by the relevant authorities. The environmental and forestry sectors are involved in the process. Slovakia has two months to reply; otherwise, the EC may decide to send a reasoned opinion. "This would mean that Slovakia did not convince the EC that the country has solved problems properly. The case may eventually end up in the European Court of Justice. However, we believe that this may be avoided and Slovakia will take action before. Such a trial can take years and it can be too late for the endangered population of Capercaillie," Jozef Ridzon from SOS/BirdLife Slovakia said. 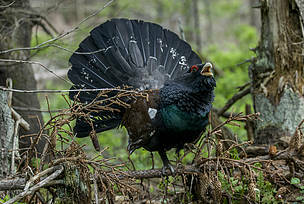 Most of the Capercaillie habitats in the Western Carpathians are located in Central and Northern Slovakia. Slovakia has a responsibility to secure effective conservation and long-term existence of this endangered species. Many Capercaillie habitats have been destroyed as a result of ‘accidental logging’ due to bark beetle calamities over the last years. Special Protected Areas intended for bird protection were greatly influenced by deforestation (see map of Special Protected Areas). In Slovakia there are 12 Special Protected Areas identified for Capercaillie conservation. In two of these areas capercaillie are actually extinct. All of the 10 remaining SPA shave declining populations and in two of these areas the Capercaillie is almost extinct with only a few birds surviving. 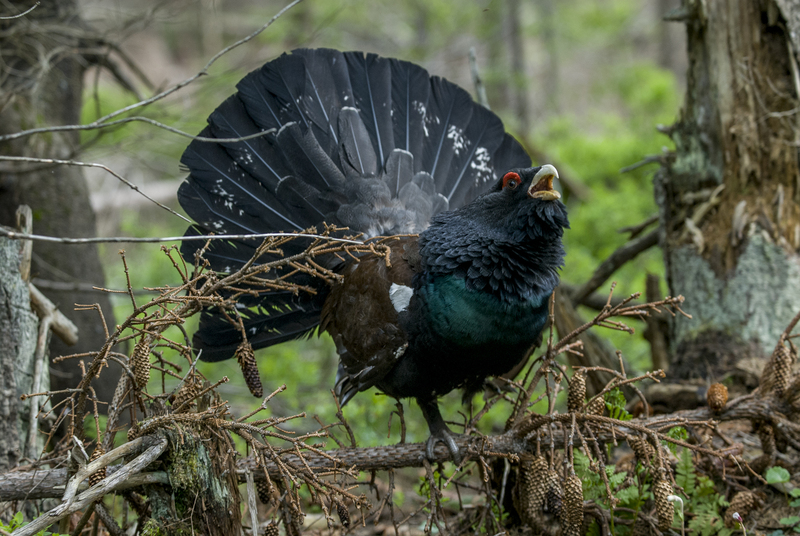 One of the biggest problems for the capercaillie population exists in Western Carpathians – in Low Tatras Special Protected Area, which is the most important part of the NATURA 2000 sites in Central Europe. Map of Special Protected Areas (green) with high rate of deforestation (pink) in Western Carpathians (Central Slovakia) form 2001-2014.